People tend to think mold remediation is the same as mold removal for good reason: they have likely heard others confuse the two terms as well! In reality, there is a significant difference between mold removal and mold remediation. Below, we explain the differences between mold removal and mold remediation in detail to help readers understand exactly what our mold removal team means when we reference one of these services. Mold remediation is centered on taking actions that return mold levels back to a natural level. Mold remediation does not remove all of the mold on the property as such a feat is not possible. There will always be mold on properties of all types. What matters is how much mold is present. Mold remediation narrows in on those especially problematic areas of mold. This approach eliminates the mold that has the potential to prove harmful to you, your family or your pets. The mold restoration company you select will identify the root cause of your mold problem, pinpoint areas in which mold has become excessive and do everything possible to move those levels back to an acceptable level. Mold remediation techniques can even eliminate toxic and harmful elements such as black mold. The mold remediation process commences with the taking of air samples. These samples identify the type of mold spore present and their concentration. These spores are reproductive spores as opposed to dormant spores. The reproductive variety emitted by growing mold will spur allergy symptoms and possibly lead to illness. 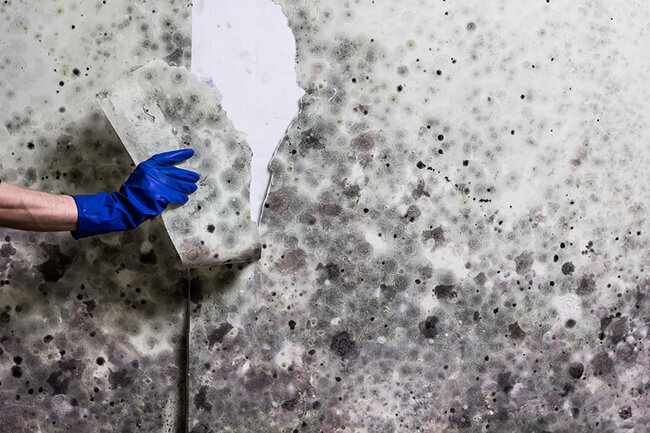 Pinpointing the type of mold present with a spore sample makes it that much easier for remediation experts to figure out the best possible approach to tackling this problem. Mold removal is necessary when you have significant mold buildup. A low level of mold will not require a removal yet if this mold gradually accumulates to the point that it proves dangerous to your health, it must be removed. Let our crew perform a mold inspection, determine if mold is present, measure its level and remove it if necessary. Furthermore, we will address the source of the mold. Our team knows exactly where to look for moisture that leads to mold growth. This source will be identified and repaired so it does not lead to additional mold accumulation in the future. Any mold-laden materials will be removed and disposed of in the appropriate manner. If the mold breached a room, the affected portion of the drywall (or all of it) will be cut out and trashed. The structure surrounding this area will be dried so new drywall can be added, textured and possibly painted. In a nutshell, mold removal is somewhat similar to mold remediation yet it is much more extensive. The main difference is the underlying moisture issue and damaged materials are addressed in mold removal. If you have any questions or concerns about either process, our crew can help. If you are uncertain as to which approach is ideal, meet with our mold experts for professional advice. Let us examine your mold problem and the extent of the damage. Once we have performed an analysis, we will explain exactly what is going on and develop the appropriate plan of action for your unique mold challenge. 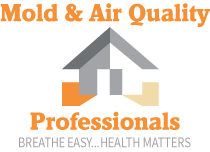 Give Mold & Air Quality Professionals a call today to coordinate a consultation. In NW Ohio and SE Michigan can contact us by dialing (734) 755-3457. Those who live in central, NW or lower Michigan can reach us at (231) 679-2622.